9 Different Versions of 8 Systems covering 27 Years of Mustangs! When wanting to get your Ford Mustang prepared for any weather conditions or protected against an attempted theft our complete remote starter and alarm systems with their step-by-step system-to-vehicle installation manuals have proven to get the job done faster & easier! All our VSS Kits arrive at your door complete with all the parts and information you'll need to install the system into your specific year of Mustang. And if you ever have a question before, during or after the install, we have professional installers that specialize in Ford vehicle's on call 7 days a week that you can reach by phone, email, TxT or join our forum (no purchase required) to answer any questions or fix any problems you may have. 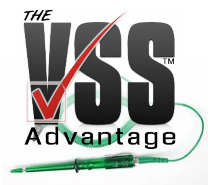 Have the VSS Advantage™ on your next installation today! Complete Vehicle Specific System, No Additional Parts Required! OEM Grade QS-9000 Components made by Voxx Electronics & Flashlogic ADS Inc.
� � � � � � � �Up to 1500' Range! 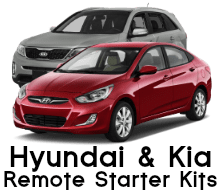 Includes 2 x 1-Button Remotes: System 1 includes two chromed-metal reinforced 1-button remotes that will withstand the daily wear & tear of hanging by your keychain and provide optimum performance that get's up to 1500 feet of remote starter range. Includes 2 x 3-Button Remotes: System 2 includes two chromed-metal reinforced 3-button remotes that will withstand the daily wear & tear of hanging by your keychain and provide optimum performance that get's up to 1500 feet of remote starter, keyless entry and power trunk activation range. 3 Year Warranty. Lifetime Tech Support 7 Days a Week by Phone, Email and TxT! � � � � � �� � � � � � �Up to 1 Mile of�Range! 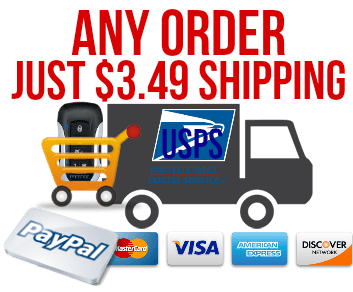 Includes 2 x 5-Button Remotes: System 3 includes two chromed-metal reinforced 5-button remotes that will withstand the daily wear & tear of hanging by your keychain and provide optimum performance that get's up to 1 MILE of range! Advanced SST Remotes "Spread Spectrum Technology" Not only are the remotes to the system 3 rated best-in-class in quality and performance they are designed with the most secure form of radio frequency transmission technology currently available on any automotive system today. In addition to nearly eliminating any RF interference and providing quicker response and stronger range, this latest technology shift's the transmitters operating frequency continuously making it impossible for a thief to copy and rebroadcast your transmitter's code. Illuminated Entry: The system has the ability to automatically turn your vehicle's interior/dome lights on at the same time you unlock the doors with one of the systems remotes for 30 seconds. Feature offered during checkout. Turbo Cool-Down Mode: This option will keep your engine running to allow your vehicle’s turbo to properly cool down before shutting the engine off. The system has 3 turbo timer run times: 3, 5 and 10 minutes. Choice provided during ordering. Mustangs with Automatic Transmissions AND Manual Transmissions! � � � � � � � � � � � � �Up to 1 MILE�Range! Includes 2 x 5-Button Remotes: System 4 includes one chromed-metal reinforced 5-button remotes that will withstand the daily wear & tear of hanging by your keychain and provide optimum performance that get's up to 1 MILE of range! Advanced SST Remotes "Spread Spectrum Technology" Not only are the remotes to the system 4 rated best-in-class in quality and performance they are designed with the most secure form of radio frequency transmission technology currently available on any automotive system today. In addition to nearly eliminating any RF interference and providing quicker response and stronger range, this latest technology shift's the transmitters operating frequency continuously making it impossible for a thief to copy and rebroadcast your transmitter's code. � � � � � � � � � � � � �Up to 2500' of 2-Way Range! Includes One 2-Way Confirming LCD Remote: Indigo blue back-lit screen that will indicate on-screen whether the vehicle has been successfully remote started, locked, unlocked or is out of range from up to 2500 feet away. Includes 1 Ultra-Thin 5-Button Remotes: System 5 includes one chromed-metal reinforced 5-button remotes that will withstand the daily wear & tear of hanging by your keychain and provide optimum performance that get's up to 2500 feet of remote starter, keyless entry and power trunk activation range. Advanced SST Remotes "Spread Spectrum Technology" Not only are the remotes to the system 5 rated best-in-class in quality and performance they are designed with the most secure form of radio frequency transmission technology currently available on any automotive system today. In addition to nearly eliminating any RF interference and providing quicker response and stronger range, this latest technology shift's the transmitters operating frequency continuously making it impossible for a thief to copy and rebroadcast your transmitter's code. Illuminated Entry: The system has the ability to automatically turn on your vehicle's interior/dome lights on at the same time you unlock the doors with one of the systems remotes for 30 seconds. Feature offered during checkout. Includes 1 Ultra-Thin 5-Button Remotes: System 6 includes one chromed-metal reinforced 5-button remotes that will withstand the daily wear & tear of hanging by your keychain and provide optimum performance that get's up to 2500 feet of remote starter, keyless entry and power trunk activation range. � � � � Up to 500' Range! 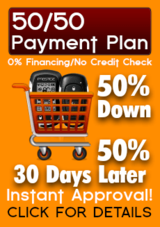 Vehicle Specific Ready System: Order this system set up for your specific vehicle! Includes 2 Ultra-Thin 5-Button Remotes: System 7 includes two chromed-metal reinforced 5-button remotes that will withstand the daily wear & tear of hanging by your keychain that out performs any OEM alarm and keyless entry system on the market today with up to 500' of remote control range! Choice of sounding a multi-tone siren or the vehicle's horn or even both at the same time. Remote Keyless Entry: Remotely lock and unlock your vehicle's doors at the same time you arm and disarm the system. Illuminated Entry: Turn your vehicle's interior/dome lights on at the same time you unlock/disarm the system. � � � � � � � � � �Up to 2500' of 2-Way Range! Includes One 2-Way Confirming LCD Remote: System 8 Indigo blue back-lit screen that will indicate on-screen whether the vehicle has been successfully locked/armed, unlocked/disarmed, is out of range from and pages you when the alarm is triggered all up to 2500' away. Includes One Ultra-Thin 5-Button Remotes: Includes one chromed-metal reinforced 5-button remotes that will withstand the daily wear & tear of hanging by your keychain and provide optimum performance that get's up to 2500 feet of alarm, keyless entry and power trunk activation range.